The 1950s, as those who lived through them would know, were so different from the first decades of the new century that they now seem like another world – a world of social and moral values directly opposed to those of the present. In the social atmosphere of today it seems hard to imagine it possessed any real social and moral coherence. 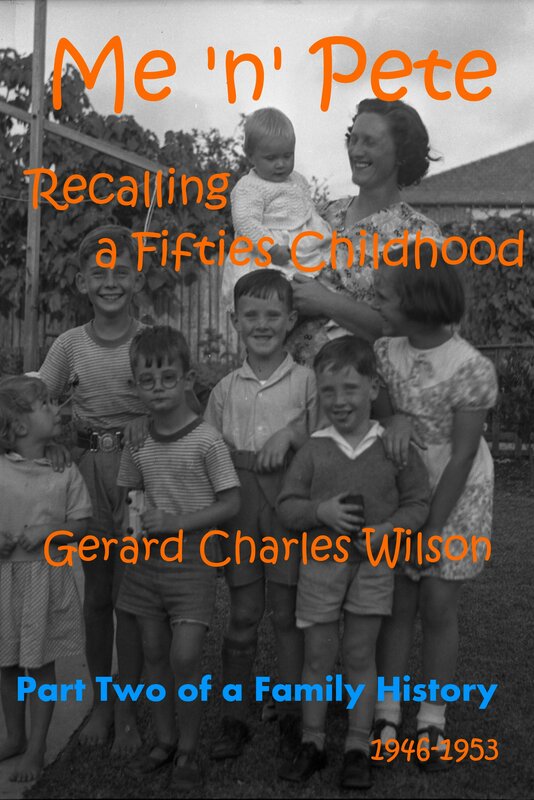 The author, a pretty ordinary fifties boy – perhaps a little naughtier than most – looks back on those years, telling the story as much about the world he grew up in as about himself. Among other things, he seeks an explanation as to why he maintained features of that world, in particular his religious beliefs, when so many of his contemporaries not only jettisoned them, but came to despise and feel ashamed of what once was. The story includes the reminiscences of his life-long best friend Pete who was a rubella baby. THE COVER PHOTO: The Lane Cove Gang from left to right: Christine, John & Peter Allison, Michael, me (with my tongue out!) and Marie, and Mum holding Narelle. Taken in December 1949.